On 25 November 2015, the eighth edition of the Annual Huygens-Descartes Lecture took place, in which Prof. Renate Dürr (University of Tübingen) tackled the eighteenth-century debate around the trustworthiness of the Bible, and in particular the Book of Exodus. The discovery and publication of the Corpus Hermeticum in the sixteenth century initiated a new period of the interest in the history of Egypt, characterized by the use of empirical methods. The history of Egypt was already known from the Bible, and the empirical examination of geography and chronology were to complement and refine the biblical account. However, it soon also became obvious that the new findings contradicted the Bible (such as in the case of Egyptian chronology which stretched into the antediluvian times) or proved a challenge to the biblical narrative. As a result, a series of debates erupted between Catholic and Protestant authors in the seventeenth and the eighteenth centuries, focusing on the veracity of the biblical account and the possibility to confirm or challenge it by means of empirical examination. Jean-Claude Sicard (1677-1726), a French Jesuit who operated in Egypt, played a central role in one of these debates that arose from the tension between the empirical approach and the biblical authority, that of the crossing of the Red Sea by the Israelites. 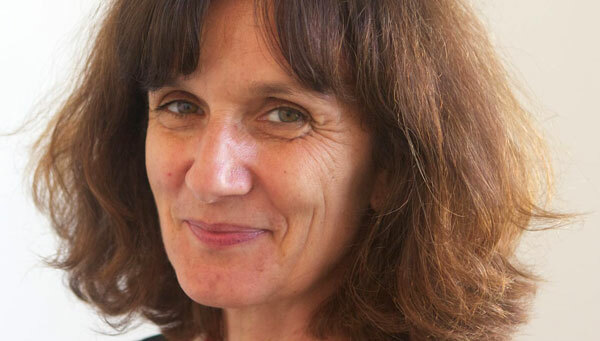 His career and works were the subject of this year’s Huygens-Descartes Lectures by Renate Dürr from the University of Tübingen. In 1670, Spinoza was the first to explain the parting of the Red Sea on purely empirical grounds, attributing it to the blowing wind and shallow water. He inaugurated a debate about the nature of this miracle, which divided the Christian world. On the one extreme were those that Dürr called holders of the ‘orthodox’ position, mostly Catholic writers who claimed that the miracle cannot be explained by natural causes. On the other extreme were the ‘radicals’, who found the story of the crossing of the Red Sea implausible and rejected it on the whole. However, the majority of the participants in the debate were ‘moderates’, who believed that the crossing could be explained by natural causes, yet was a miracle because the natural phenomena were brought together by the working of God. Sicard made a crucial contribution to the debate as well as to the geographical knowledge of Egypt. As Dürr showed, both his works and maps served as an important source of knowledge of Egypt in contemporary Europe. Claude Sicard spent almost fifteen years in Egypt as a superior of the Jesuit mission to the Copts. During his stay in Egypt, Sicard travelled Egypt extensively to produce the first reliable maps of both contemporary and ancient Egypt. In the process, he discovered amongst others the ruins of Thebes and was the first to describe, measure and sketch many ancient sites. His knowledge of Arabic allowed him to record local knowledge and to integrate it into his work. While perched on the very edge of the Republic of Letters and in a constant dearth of recent publications, as Sicard’s correspondence attests, Sicard nevertheless considered himself a member of the Republic and kept in touch with the scholars of his times in Europe. From 1717, Sicard’s letters began to be published in Noveaux mémoires des missions de la Compagnie de Jésus dans le Levant and reached a wide audience in France and beyond. As Dürr showed, most of the participants in the debate of the crossing of the Red Sea drew on Sicard’s observations and more importantly on the maps he produced. Already since the sixteenth century, maps played a central role in the discussion of the Exodus and served to express the opinion about the exact route of the Israelites. Sicard’s maps, too, included the route of the Israelites as reconstructed by the Jesuit. Sicard’s most important original contribution to the debate of the crossing of the Red Sea was his empirical measurement of the water levels in the Red Sea at tides and ebbs at various points of the year. These measurements were to show that it was potentially possible to cross the Red Sea under favourable natural conditions. Thus, Sicard’s observations provided important ammunition for the ‘moderate’ position in the debate. Sicard himself was in favour of this position, although he proposed an alternative route of the crossing to the one formulated by Jean Leclerc in 1693. Although Catholic, Sicard drew both on Catholic and Protestant thinkers (whom he calls ‘freethinkers’) as the source of his argumentation. 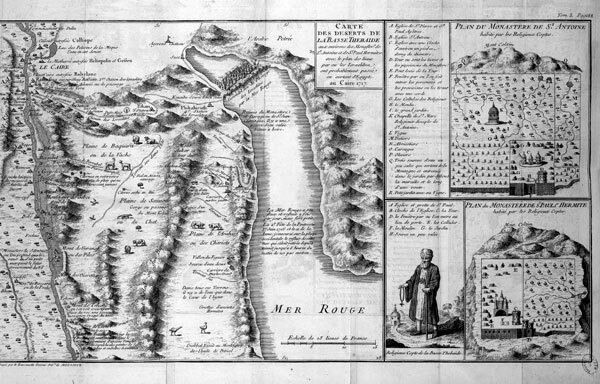 While Sicard and his works generally remain not well-known (his monumental map of Egypt was never completed and is now lost), Renate Dürr was able to show his essential contribution to the debate about the crossing of the Red Sea: by mapping Egypt, attempting to identify the places from Exodus in his map on empirical grounds, measuring the tides and ebbs of the Red Sea, consulting the local lore, and by making this knowledge available in Europe. In her future research, Dürr will continue to examine Sicard’s works and trace their influence on the contemporary debate about Exodus.